Newport Nightshelter has been successfully running since 2009 saving to date a total of 10,301 nights sleeping rough. During the coldest winter months (November to March) 16 different churches in Newport open their doors and hearts to welcome in the city’s homeless from the streets. We provide a hot supper, drinks, 12 warm safe beds for the night, toiletries and breakfast in the morning. The Nightshelter isn’t just a bed however, it offers so much more than that! Our volunteers provide our guests with companionship and our experienced staff provide support to access fixed accommodation and provide support to access drug & alcohol rehabilitation services either in Newport or outside the area. Over and above meeting the immediate need for emergency shelter, we try to get to know our guests and tailor the support we offer to their individual needs. This commonly involves help with finding more permanent accommodation and support to overcome drug or alcohol dependence. It may be as simple as lending a listening ear or providing clean, dry clothing. The winter Nightshelter is a successful project and will continue to work thanks to the generosity and support of our partnering churches and volunteers that keep it running each year. Newport Winter Nightshelter will not change and will continue to partner with local churches to deliver winter emergency accommodation. What is different about Newport Nightshelter Plus? We acknowledge that homelessness doesn’t stop when the Nightshelter closes in March and in recent years it has become increasingly hard putting people back on the street when the Winter Nightshelter closes! A little over a year ago an idea was put forward to the Council for a continuation of Nightshelter into the summer months to bridge this gap. We proposed a fixed location at our premises on Hill Street, however, our building was far from suitable to safely accommodate this and would need a full renovation to provide this. By the grace of God all the little things started falling into place; we we’re offered a substantial amount of money for the renovation by Newport City Council via a grant from Welsh Government and our landlord (The Salvation Army) fully supported our plans to allow these renovations on the building. Little did we know that a year later our vision would start becoming a reality! 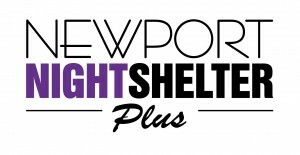 Nightshelter Plus will run from April to November at our location on Hill Street and will provide 10 emergency bed space’s and resettlement support throughout the summer months to those sleeping rough in Newport. Nightshelter Plus is also not a drop-in service. Everyone who accesses the shelter MUST be referred from one of our partnering referral organisations. For more information on our referral agents and the referral process please click here. How do I get referred into the Nightshelter or Nightshelter Plus? If you are Threatened with Homelessness or are homeless the first thing you should do is to contact Newport City Council Housing Options Team at the Information Station. They will look at your situation and determine how they can help you. For more information on how Newport City Council can help you please click here. In Newport (South Wales) there is a need for emergency accommodation for rough sleepers whilst long term solutions are being sought. The Night Shelter fills in the gap in providing safety and refuge for those who do not have the option of temporary or permanent accommodation, and continue to struggle with their cycle of homelessness and addiction. Newport Nightshelter is a project that relies on volunteers from across Newport and surrounding areas to open. Without our faithful team of volunteers, we would not be able to open. *Newport Night Shelter is exclusively for those with existing links to Newport and the local area (Please do not travel from other parts of the UK to make use of the Night Shelter). Newport Nightshelter Plus aims to minister to the spiritual needs as well as the emotional and physical needs of our guests as an extension of the Winter Nightshelter project between April and November. We do this by being a visible testimony of Jesus Christ, showing Love, kindness and hospitality to our guests in a non-judgemental way. We aim to achieve a calm & relaxed atmosphere where people can feel safe and welcomed. Our vision is to offer a practical solution to the homeless problem in Newport. We will do this by continuing to develop partnerships with local Churches and Stakeholders. If you or your church would like to get involved then please email us at info@edengate.org.uk. Our volunteering application form is available as a printable PDF file attached below which will require printing and delivering to us at our premises or as an electronic file. Should you wish to receive an electronic copy then please provide us with your name and email and we will forward one to you. If you would like to stay up to date with Eden Gate why not subscribe to our mailing list?